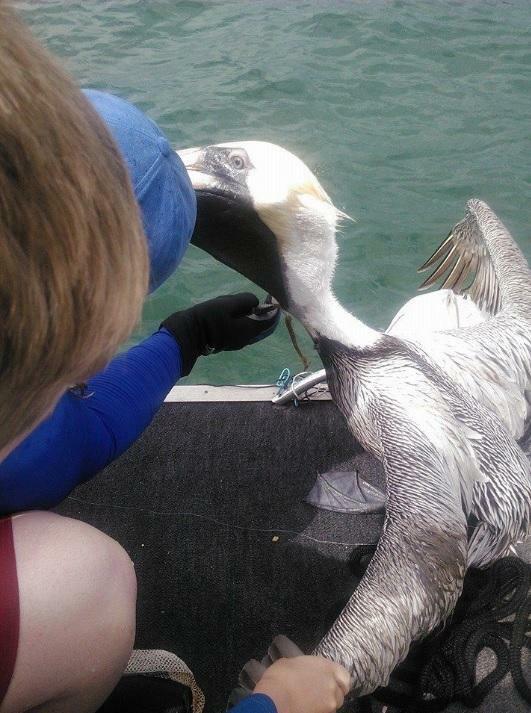 FWC Officer Mandy Phillips rescues a pelican entangled in a monofilament fishing line. 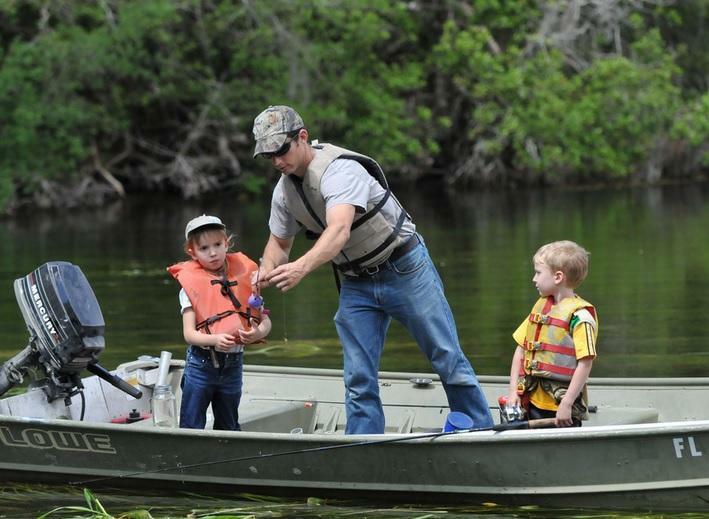 Florida Fish and Wildlife Conservation Commission spokeswoman Diane Hirth says one thing anglers can remember that will help wildlife is to properly dispose of what’s called a monofilament fishing line—very popular in the industry. 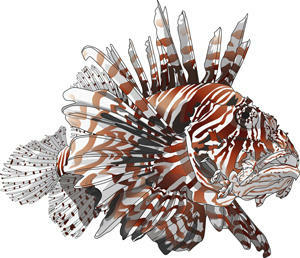 “And, you may say ‘why is that so important?’ We have a lot of wildlife that can get hurt, injured, entangled by fishing line. 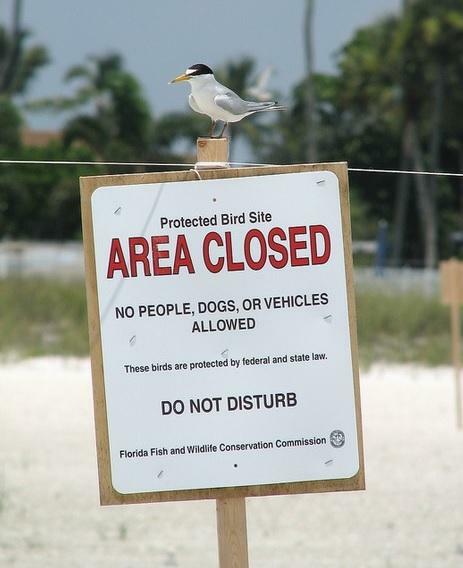 Species would include sea turtles, birds—particularly pelicans, bald eagles—manatees, dolphins,” said Hirth. Hirth says there are recycling stations all throughout Florida. 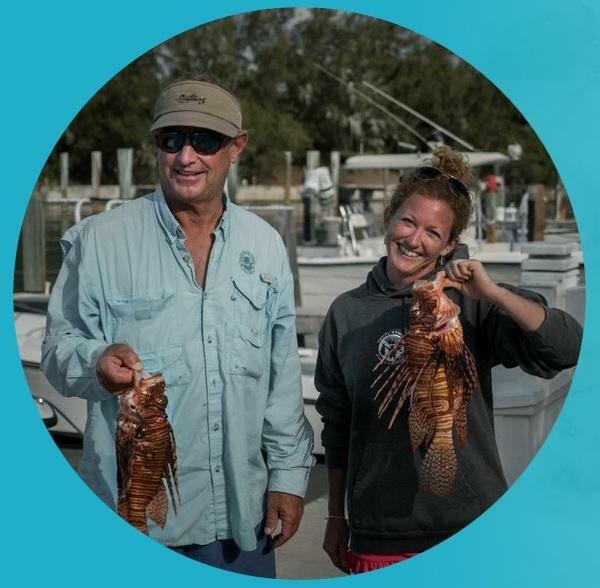 If anyone sees an entangled animal, Hirth urges them to contact the FWC’s Wildlife Alert Hotline.